Nancy will make a welcome addition to any style of living space with its neat contemporary styling and attractive wooden details. Hand made from quality materials and the latest mechanisms it has lasting good looks. 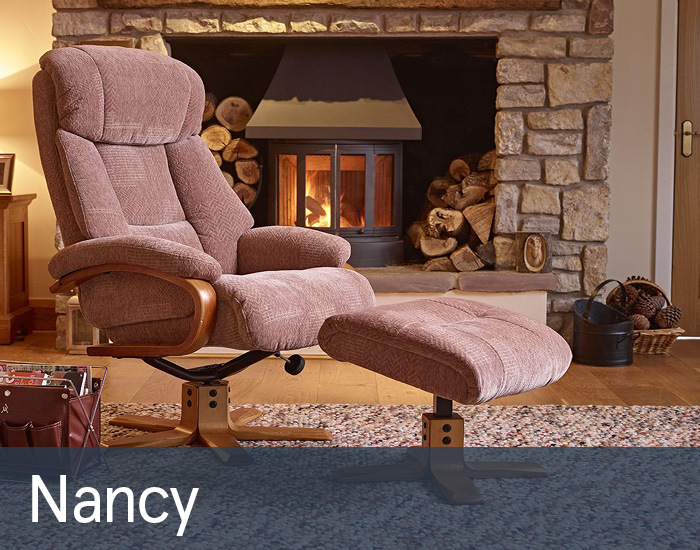 A generous ergonomically designed high back with an easy lean-back reclining mechanism and complimentary stool will ensure complete comfort, support and relaxation. Whether it’s to read, watch TV in or have a well earned snooze, Nancy offers the perfect solution.